Michael. Thank you very much for making this available. 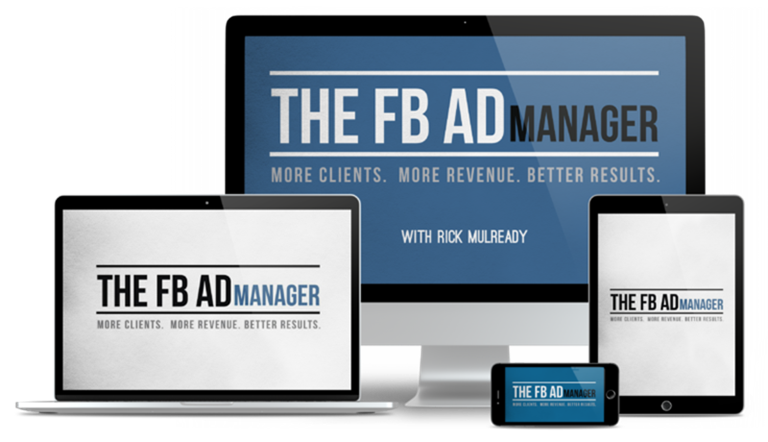 I had not heard of Rick before, but from what I have seen, he is an enthusiastic and knowleable speaker and there is a huge selection of resources, templates and tools to help get any agency up and running. I am not experienced and am learning all that I can about FB ads. I have not run a campaign yet or approached my first customer, BUT I want to get up and running very quickly. Because we can’t join any of the offical FB groups (Dan Henry, Jon Soto, Kevin David, Dino Gomez or Ricks) would anybody be interested in having our own FB agency group? I know I would benefit from bouncing ideas round and getting a second opinion. New and experienced FB agency members would be welcome…anybody who is SERIOUS about running an agency. I don’t want the group to be full of people who are jumping from one project and shiny thing to another. You will need to be dedicated and focussed, be willing to participate and share experiences and feedback or there would be no point to it. My aim is to run a successful agency and I would like to actually purchase the courses mentioned above, because they are really good and deserve to supported. Please let me know if you think that a group like this would be something you would like to be part of. Thanks…and especially to Michael who works so hard making this amazing site possible. Finding this site is the best thing that I have ever done and I feel VERY lucky to have found it. A great idea would like to connect with you. Also, I completely agree with you that all the courses need purchased but only when we’re financially independent. This is a great idea. I myself would like to be part/contribute to a private FB Agency Group. (There should be strict guidelines like no reference to this website etc. Fantastic Idea Gary! I was actually looking for something like this! I’ve also been learning all I can on FB ads and going full on with this business and will be starting soon. So please count me in on that FB group! I’ll email you! The ‘secret ‘Facebook Agency Group is up and running now. Only open to Getwsodo members only. Hi Gary, how do I get access? Hi, did you use latest VLC player? All of the videos work perfectly for me George. Michael is right….try updating to the latest VLC player. The videos definitely work.